When a website is built and launched, the first question is often: “Great! Now, will my website show up in Google searches?” Enter Search Engine Optimization (SEO), the part-wizardry, part-hard-work, part-inside-expertise skill of proving to search engines that your site is worthy of being ranked well. If you’ve worked with a marketing agency or hired a marketing pro, they have surely mentioned SEO and what needs to be done to please this picky animal. But many of the terms can be confusing, or acronyms, or both. So we’ve put together this glossary of need-to-know SEO terms for busy people who want to be well-informed about their search engine traffic. 301 Redirect – A rerouting of a web page. When a webpage address is changed or a new site is launched, 301 redirects automatically send visitors (and search engines) to the proper page(s). ALT Text/Tag or Attribute – ALT is short for “Alternative”, so in this case, ALT Text is “alternative text” to describe an image. This is useful for both visitors using a screen reader and for search engines. Since search engines cannot see images, they rely on Alt tags/text to “read” your description of it. 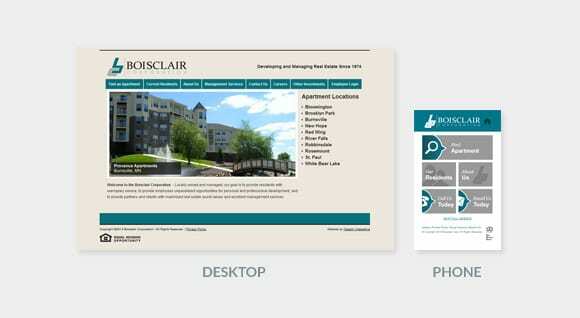 This is another way to show that your site offers information—in this case images—regarding your topic of choice. Analytics – Google Analytics and other Analytics services offer tons of information about traffic to your site. This is the place to find out when people visit your site, what path they use to find you, how often they’ve visited, how long they stay on the site, where they’re located, and many other things. Anchor Text – When you click on a link that takes you to a new page, the anchor text is the words that make up the link, usually blue and underlined. For example, if we’d like to offer you a link to our Marketing Fusion page, the anchor text in this case is “Marketing Fusion page.” Why does this matter? 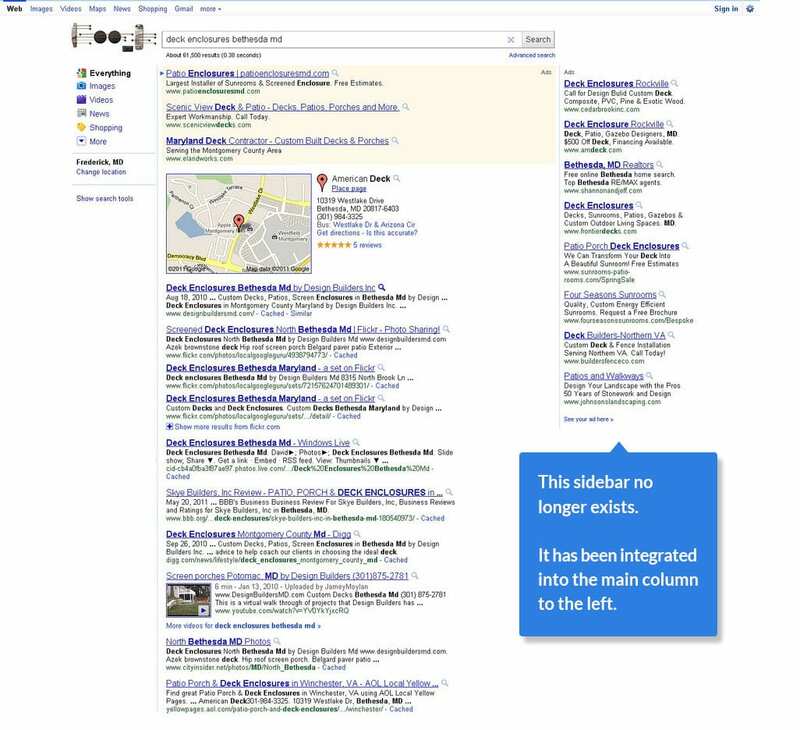 The anchor text signals to search engines what the destination page is about or where you’ll be going. Blog – Coined in the 90’s from the word “web-log”, your blog is the ever-updating part of your site where you publish new content. Whether they’re news items or articles about your industry (like this), having a blog and adding posts to it is good SEO. Why? It accomplishes 2 things: new content shows search engines that you’re not a static site, and new content specifically on your topic is adding fuel to your SEO fire by talking more about your business and industry. Bookmark – A link to a website that is saved for later reference. The more times people bookmark your site, the greater the indication that your pages have high-quality content. Breadcrumbs – Displayed to a website visitor, breadcrumbs show you how the page you’re on fits in to the structure of the entire website. Conversion Form – A form on your site that collects information from an incoming lead; it could be a Request for Quote, a Contact Us form, or any other type of form that counts as a lead for your business. Domain – The main part of your site’s web address (example: www.yoursite.com). There could be subdomains before it, and there will be “slugs” after it, but it is the basic name of your site between the www and the .com or .net, etc. Domain Authority – A value from 0 – 100.0 that indicates the SEO quality of the site, based on age of the site, size, and popularity. The higher the DA, the better. For example, google.com (and all of its subsidiaries) have a DA of 100, because what has more authority than Google? External Link – A link from one website domain to a different one, whether outbound from your site to another, or inbound from another site to yours. These are key indicators to search engines. Favicon – The small icon that appears in the tab of your web browser when you are on a page, usually one letter or a simplified version of a logo. The Fold – The fold is the bottom of what can be seen on your screen without scrolling. So “above the fold” indicates the parts of your page that are seen first, without scrolling, and therefore get the most attention. Headings – The headings of your site (using a H1 or H2 tag) are just what you’d expect: larger text like a headline. Search Engines look to headings to know the main topics of your pages. Inbound Link – A link from another site that leads to yours. The more you have of these, the better, especially if that site is reputable. 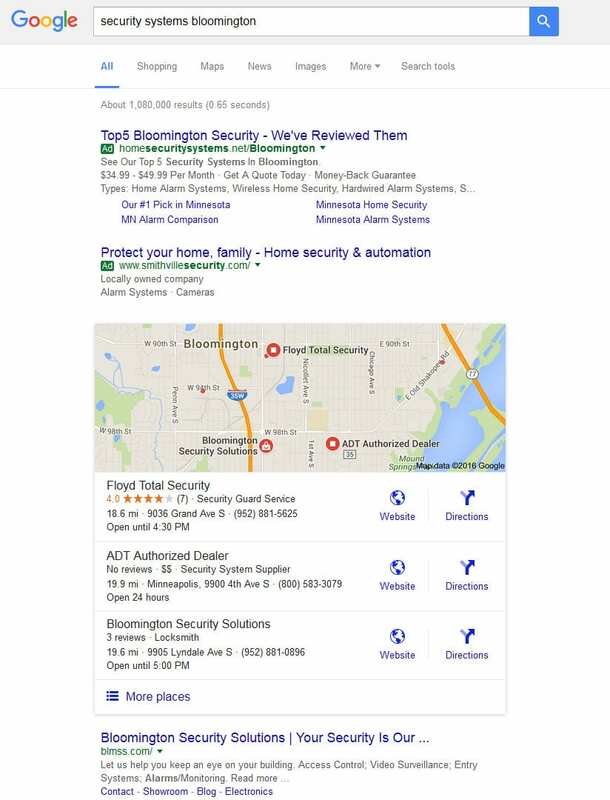 Search Engines see these as proof that your site is worth sending people to. Internal Link – A link from one page on your site to another page on your site. For example, your Home page will have several internal links that bring visitors to other pages on your site. Keyword – The words or terms that users enter into the search. Knowing what keywords people enter to reach you is important so that your marketing or copywriting team can include those in your content. 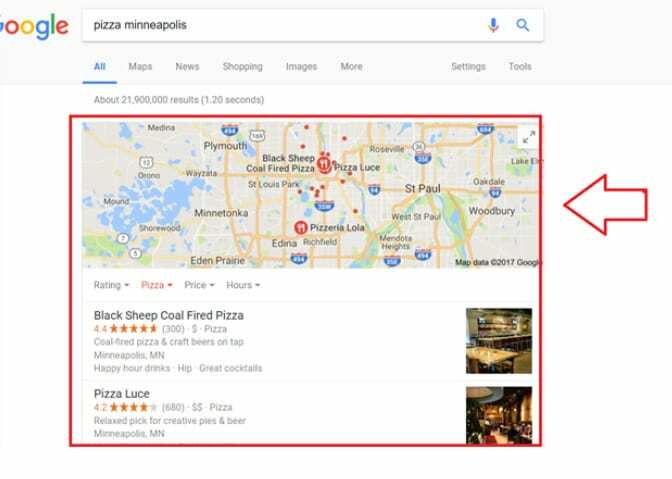 Although keyword stuffing (using your target keywords many times in unnatural ways) is now a detriment to your ranking, your keyword should be used consistently and naturally throughout your site. Link Building – Working to get more inbound links from other high quality sites. Long Tail Keyword – A longer keyword that someone uses in search, typically 3-4 words or more. These are less commonly used than 1-2 word keywords. They’re more specific, which also means they are less competitive. Metadata – Data that tells search engines what your website is about. This could include page title, meta description, or alt image tags. Meta Description – A description of a webpage that you see along with page titles on a Search Results page. These should be written manually for each page to encourage users to click on your site. 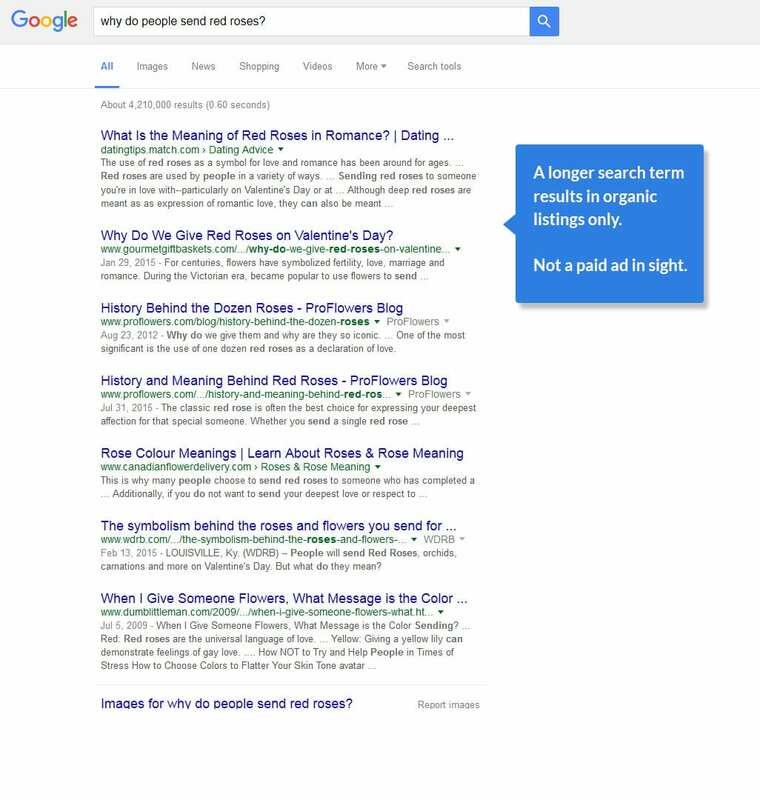 If not, search engines will usually pull out the first parts of text from that page. mozRank – A ranking for a website from 0 – 10.0 provided by SEOMoz, determined by the number and quality of inbound links to that site–the higher the better. Page Title – The title of a webpage, which is shown both at the top of your browser window and on a Search Results page. Keywords are usually used in page titles, and should be used at the beginning of the title for more SEO impact. PPC (Pay-Per-Click) – Advertising method in which an advertiser puts an ad in an online advertising venue, such as Google adwords, and pays that venue for impressions of their ads or clicks on their ads. SEM – Search Engine Marketing. Similar to its cousin SEO/Search Engine Optimization (getting your site to rank well organically), SEM includes both organic and paid mentions of your site, and is focused on increasing your visibility on search engine results pages. 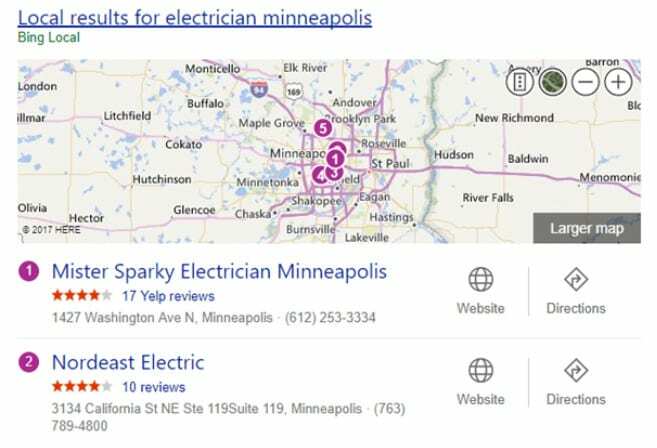 SERP (Search Engine Ranking Page or Search Engine Results Page) – After you enter a search query into Google, Bing, or any other search engine, the SERP is the page that shows your results. 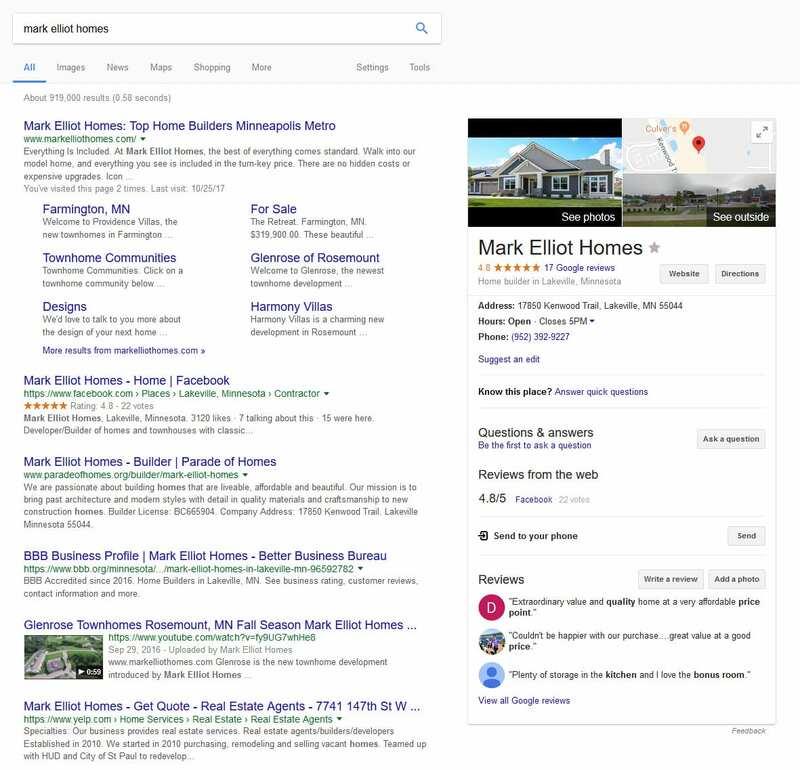 With Google, this now can include any of the following: organic results, paid ads at the top and bottom in most cases, local results with map, business cards, shopping results, and more. Sitemap – A document that maps out all of the pages of a given website so that search engines can properly index the site; usually created by the webmaster or special software, and usually accessible in the footer of a site. Spider – A program that systematically browses websites on the internet and indexes web pages and web content for search engines. Traffic – The visitors to any page of your site. URL – Uniform Resource Locator; the complete web address of any given page on the Internet. 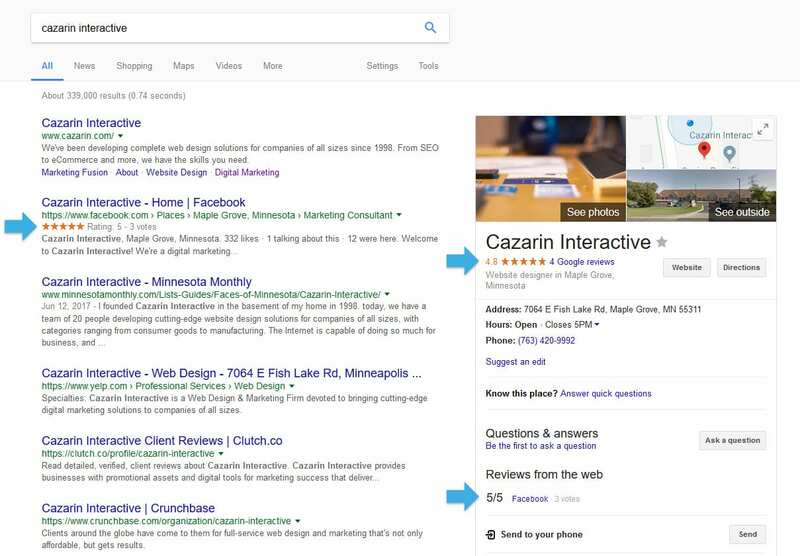 For more on Search Engine Optimization and how Cazarin Interactive can help your site, contact us. You want to start a blog for your company. You’ve heard it’s great for your SEO, creates free press, and best of all, is easy to start. It almost sounds too good to be true. Yes, blogs can be a valuable asset to your company’s web presence. But that doesn’t mean you can create a WordPress account, write a three-hundred-word piece, and expect magic to just happen. To create a blog that benefits your company, you need to have a plan in place—just as you would for any traditional marketing strategies. Here are the questions you need to ask as you form a plan for your company blog. Like every investment you make in marketing, your blog should have a goal that can be measured. Here are some company goals that your blog can help fulfill. Building an email list. One of the most powerful digital assets you can invest in is your email list. It’s the most direct line to your customers that (usually) isn’t hindered by algorithms. An excellent way to build your email list is through a blog that is regularly updated with great content. While new visitors are nice, they don’t matter much if you can’t contact them again in the future. Creating credibility. Credibility can give you an edge over your competition. A blog is a great way to build that credibility. It is a perfect place for employees to share their expertise and fans to see why your products and services are indispensable. One way you can measure credibility is by tracking how often industry leaders cite or share content you have posted on your blog. Increasing the value of your website. Search engines love fresh content, and a blog is a great way to keep feeding the beast. If your goal is to increase the value of your website in terms of pageviews and rankings, a blog can you help do that. To measure these goals, start tracking the increase in organic reach, traffic, and keyword rankings. Of course, there are many goals that you could have for your blog. Pick a goal that is measurable and start monitoring what works and what doesn’t. 2. Are You Prepared to Invest? Installing a blog is almost touted as a get-rich-quick scheme. While it is typically cheaper than most marketing initiatives, especially over the long-term, adding “blog” at the end of your web address doesn’t make a success. First, you have to learn how to produce content. A quality blog that helps you achieve the goals you set above requires more than just throwing a bunch of words together. Brainstorming topics, creating enticing headlines, and simply writing well is sometimes harder than it seems. Since a blog is one of the most public faces of your company, make sure that content is high quality. This may require the services of a professional writer or editor. Professional writers can also help produce articles that are a bit longer. Google favors high-quality content, which often means more words per article. 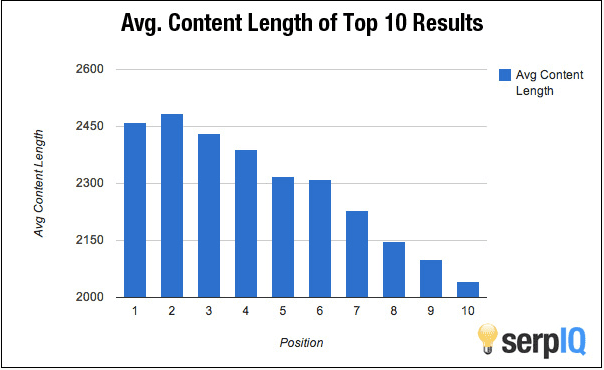 Top ranking posts on Google had a whopping 2,400+ words—or about ten pages of content. And Google favoring long-form content is a trend that is expected to continue for the foreseeable future. Blogs also require regular maintenance. If you are planning on building and growing an audience, you need to create new content fairly often. 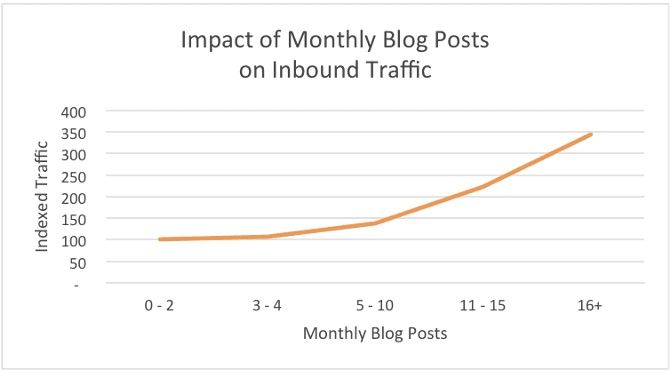 According to HubSpot, you need to publish four new pieces of content each week to get the most out of your blog. Committing that amount of time and effort takes rock-solid planning, the right resources, and the right team. 3. Can You Handle the Risk? How much will you let your community be involved? Will you allow readers and customers to comment on your blog? If so, do you have guidelines put in place to make sure discussions stay civil and customer complaints can be taken care of promptly? What happens if you go viral? Everyone loves a lot of traffic, but a lot of traffic at once can cripple your operations. Whether it’s your first or 100th post, any article can go viral at any time without warning. Can your servers take the heat? Are your writers and your company prepared to be accountable for the inevitable scrutiny that comes along with going viral? Can you handle the free spirit? Blogs, by nature, are supposed to be inviting and authentic. For some companies, it is easy to be open. For other companies, being open comes with some uneasiness. Have you considered the legal implications? It is likely that your company blog will be updated far more often than your other marketing materials. This means there are more opportunities for your company to be inadvertently involved in a legal issue. Just because a blog is a more casual affair does not mean you can neglect to consider consumer protection laws or advertising rules. While many of these issues are unlikely to happen, they are still risks worth considering when deciding to add a blog to your company’s website. While answering these questions may feel daunting, be confident that having a plan will set up your company’s blog for immense long-term success. It will also give you an edge over your competitors, who are likely flailing, or worse, suffering from consequences that could easily be avoided. Responsive Websites or Mobile Website: Which is For You? The time has come. As of this month, Google has announced that more searches are conducted on mobile devices than on desktops—a milestone the industry has been tracking for years. With this tipping of the scales, Google has announced that it will give precedence in mobile search results to sites that are mobile-friendly. We’re talking billions of search queries while people are on the go, and many websites are scrambling to make their websites look great on mobile—not only for user experience, but to stay in the game when Google returns search results. But how to proceed? Should your site be made “responsive” so it fits any size device, or should you create a separate mobile website? Description: A responsive site will automatically adjust all elements on the page to the size window you’re using: desktop, tablet, or mobile screens large and small. The site works regardless of device size, because it scales and moves content dynamically to fit each screen. There is only one site, so you don’t have to worry about duplicate content issues. This also makes maintenance easier. Any changes to the site can be done once. This option will also adapt to whatever devices your visitors may be using in the future. Description: Build a small separate site, and redirect mobile devices to the mini-site instead of the main one. This is a faster, cheaper approach. You can choose to put just a few of your most important pages up, and then link to the main site for pages that are viewed less often. If you want to have a significantly different experience for mobile users, it may be best to create a separate mobile site. This approach requires more maintenance, since you now have two sites. Content will need to be kept consistent between two different versions. Site traffic, backlinks, and other SEO factors will be diluted due to this being a separate site from your main domain. The mobile site is generally sized to fit the smallest standard mobile screen size. This means it won’t always necessarily fit different devices perfectly. In the future, a separate mobile site will become more and more difficult to maintain as device sizes change. In Google’s eyes, both methods (responsive website or mobile website) are acceptable. 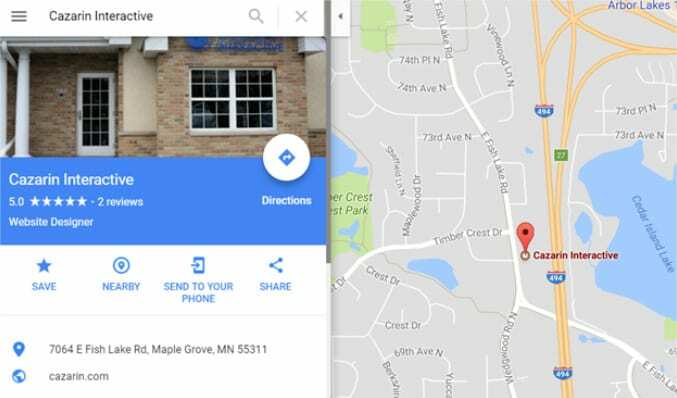 To determine if your current site is ok for mobile use, or if you need to make some changes, use Google’s Mobile-Friendly Test. Cazarin Interactive can help you determine the best mobile website option for you, and get your site up and running on all devices.